When a country’s electronic music scene punches as heavily as Canada's, there is always a weight of expectation on artists emerging from its ranks. Fortunately, Justin James' talent, energy and ambition have allowed him to climb the heights of his illustrious countrymen. Justin hails from Windsor, Ontario the same city as his label boss and techno icon Richie Hawtin.With Richie, Dubfire and many others as close, guiding influences, James has used this ammunition to fire his way to international recognition. Being just across the river from the revered school of Detroit producers has not left James unmoved.The powerful emotions deep within the seminal tracks that emanate from across the border resound heavily in him. Being touched by this rich history has deeply influenced James' music production, sharing his own vision of techno with other like-minded souls. A slew of creativity is already available, through releases quickly signed to powerhouse international labels such as Richie Hawtin's 'Minus' and Dubfire's 'Sci+Tec'. James has not rested on his laurels, instead he has taken his vision to the next level by curating his own imprint ‘refused.’ a record label which will showcase forward thinking techno from himself, established artists and up-and-coming talent from around the globe. Justin James is all about his deep love of the diverse elements of techno. His juxtaposition of raw techno with more organic elements, gives him boundless energy in the studio and behind the decks, which keeps the dance-floor militia on their toes. 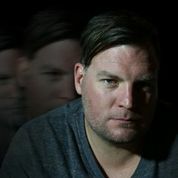 Cohesively developing a unique style that rolls all elements of techno into one highly kinetic experience, James has the ability to pool his influences, and endlessly move crowds to the far reaches of the genre. With a list of achievements that already overshadow many artists, it’s clear that Justin James has proven how combining genuine talent, with dedication can go a long way. While his productions and performances continue to open the ears of thousands of people across the planet, the reality is, James has a host of future projects up his sleeve, which reveals the best is still to come.